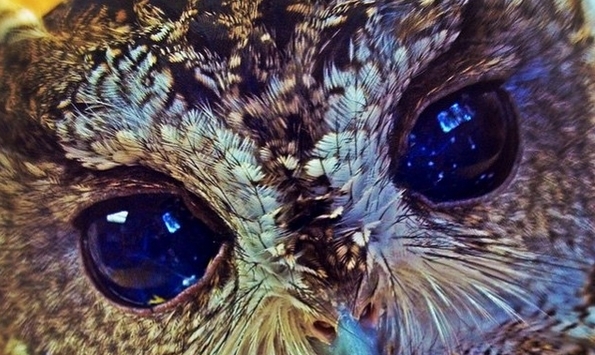 Meet Zeus, a blind Western Screech Owl with eyes that look like a celestial scene captured by the Hubble Space Telescope. 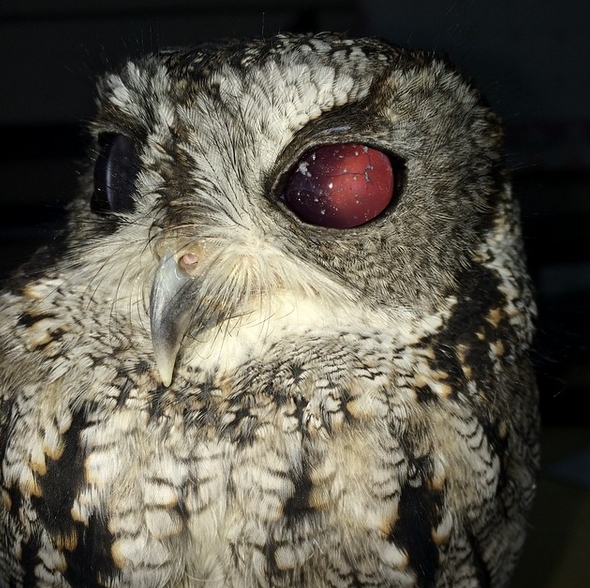 The injured owl was recently discovered on a porch in Southern California after it flew into the wall of a house and hit his head. 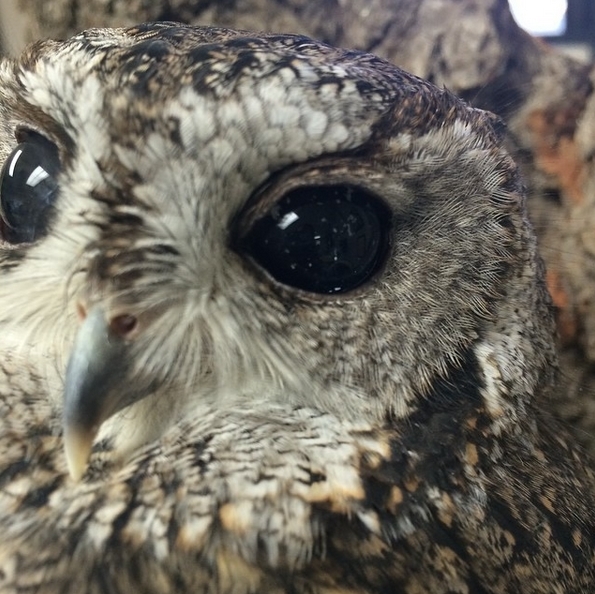 After a visit to the vet, the owl found a permanent home at the Wildlife Learning Center in Symlar, California. 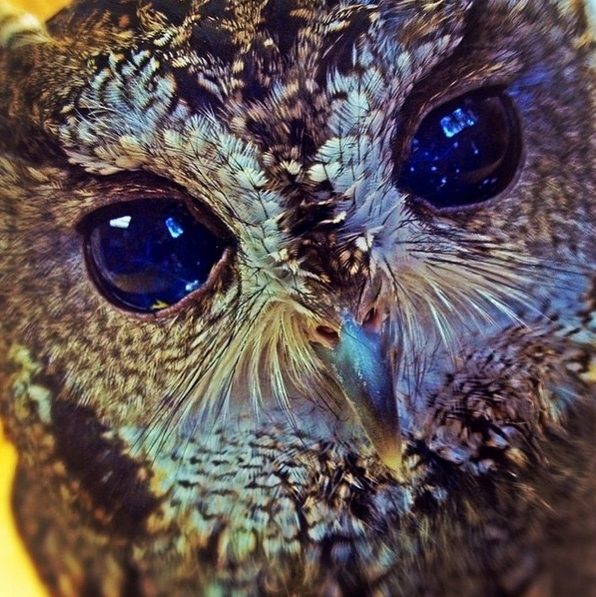 He was named after the Greek god of sky and thunder on account of his dazzling eyes. 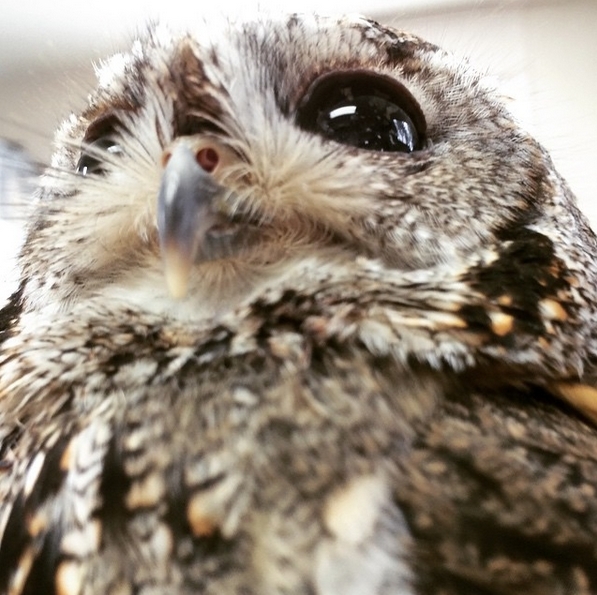 Since he's blind, Zeus cannot be released back into the wild, so he now lives on a perch on the filing cabinet next to Wildlife Learning Center founder Paul Hahn's desk. 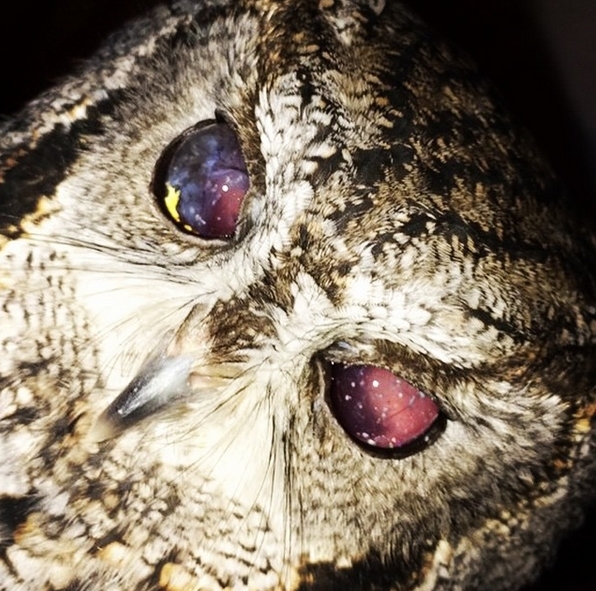 As for the galaxy-like formations in Zeus's eyes, they're likely vitreous strands. Eyes are filled with a jelly-like substance called vitreous, which often has strands and clumps of collagen floating around it (a.k.a. 'floaters'). Also, Zeus doesn't appear to have an iris or lens. 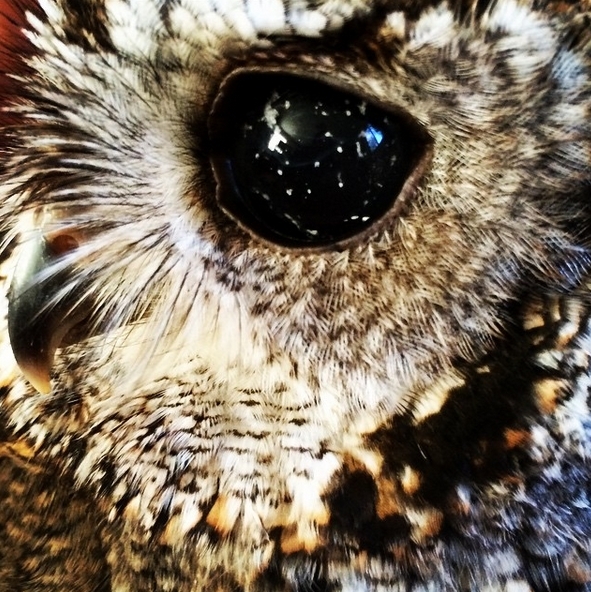 Responses to "Zeus, The Blind Rescue Owl, Has Galaxies in His Eyes (With Exclusive Videos)"